MFIs (install shells) or maybe it is better to say All-In-One collections, are intended for beginners and for those who like easy automated installation of most native needed programs and features which are not pre-included in their OS. MFI7 is a collection from free software only, not contain any cracked programs / warez or similar things. MFI7 – Missed Features Installer for Windows 10. Get It Here. 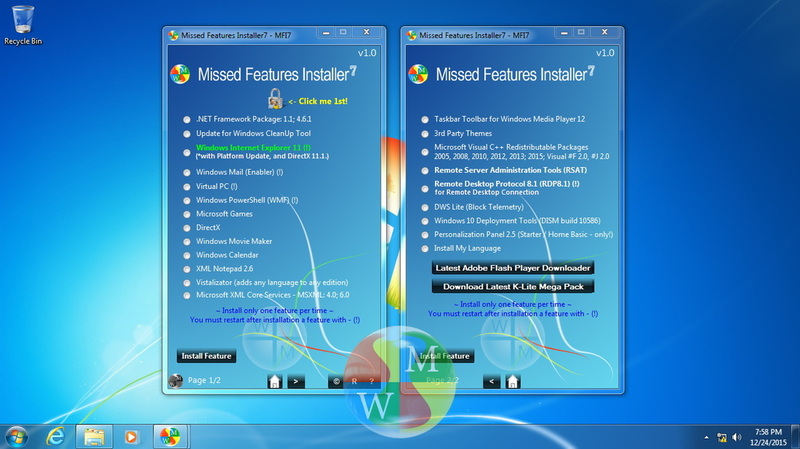 MFI8 – Missed Features Installer for Windows 8. Get It Here.